Whilst much has been written about the identification of resilience in children and their families, comparatively little has been written about what practitioners can do to support those children and families who need the most pressing help. 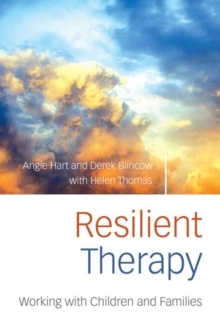 "Resilient Therapy" explores a new therapeutic methodology designed to help children and young people find ways to keep positive when living amidst persistent disadvantage. Using detailed case material from a range of contexts, the authors illustrate how resilient mechanisms work in complex situations, and how resilient therapy works in real-life situations. In addition to work with families, helping welfare organisations achieve greater resilience is also tackled. This book will be essential reading for practitioners working with children, adolescents and their families who wish to help their clients cope with adversity and promote resilience.